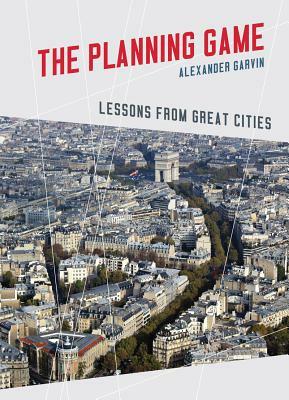 The Planning Game: Lessons from Great Cities provides a focused, thorough, and sophisticated overview of how planning works. Generously illustrated with 200 colorful photographs, diagrams, and maps, the book presents the public-realm approach to planning–emphasizing the importance of public investments in streets, squares, parks, infrastructure, and public buildings. The book examines planning at every level, explaining the activities necessary to successfully transform a community. The Lessons from Great Cities draw on four historical examples and their colorful motive forces: Paris (Baron Georges-Eugène Haussmann), New York (Robert Moses), Chicago (Daniel Burnham), and Philadelphia (Edmund Bacon). Alexander Garvin is a noted architect and urban planner. He is an adjunct professor of urban planning and management at Yale University. He heads a planning and design firm and lives in New York.